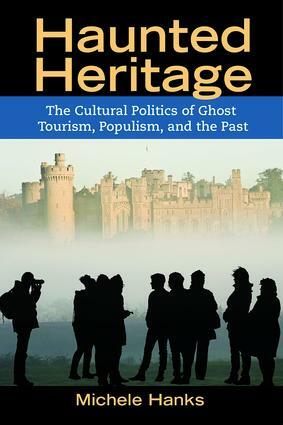 Haunted Heritage is a fascinating scholarly examination of the dynamics of ghost or paranormal tourism. Michele Hanks explores how this phenomenon allows for the re-articulation and re-configuring of ideas of heritage, epistemic authority, nation, and belonging. Drawing on long-term ethnographic fieldwork, Hanks delves into the anthropological, sociological, political, historical, and cultural factors that drive this burgeoning business. Using York, England, said to be “the most haunted city in the world,” as the base for her research, Hanks focuses on three forms of ghost tourism: ghost walks, commercial ghost hunts, and non-profit ghost hunts and paranormal investigations, comparing the experience of York with other sites of ghost tourism globally. This book will appeal to scholars interested in tourism, heritage, the paranormal, visual cultural, British studies, or popular religion. 'Heritage, Tourism, and Community' is an innovative book series that seeks to address these three interconnected areas from multidisciplinary and interdisciplinary perspectives. Titles in the series examine heritage and tourism, and their relationships to local community, economic development, regional ecology, heritage conservation and preservation, and related indigenous, regional, and national political and cultural issues.